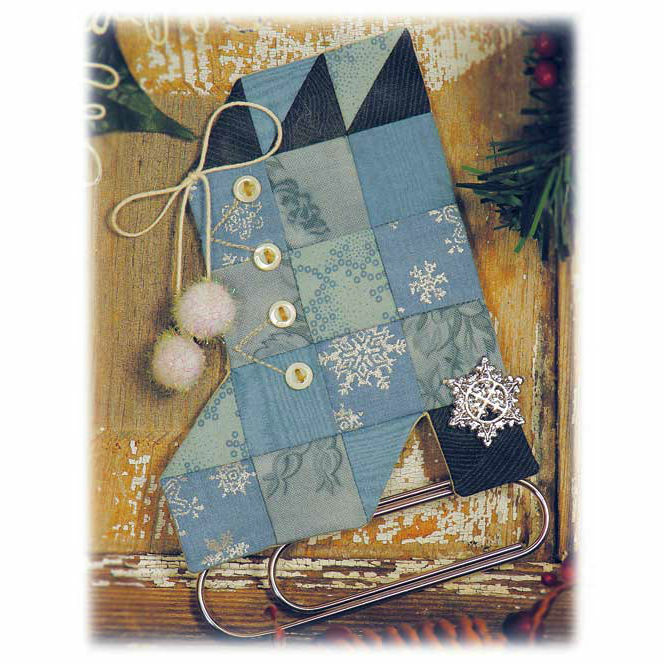 Ice Skate Espresso Kit 667 by Tammy Carlson of Happy Hollow Designs. Ice skating is a wonderful past time during the winter months. So show your enthusiasm with this precious 5" wide ornament fabric ornament. Includes pattern, fabric, Fusible Quick Grid, backing, snowflake button, string for shoelace, two pompoms, and a giant paperclip for the skate! Great as gifts, party favors or make for family members. Kit is packaged in a take-out espresso cup.